Dear clients of LLC private security company «ALPHA-B»! 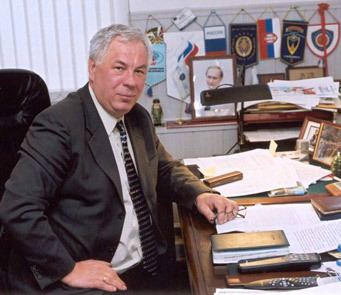 The founders and the first employees, back in 1992, boldly standing on the protection of the interests of individuals and businesses from any criminal threats, mostly originate from «A» Center of Special Purpose of FSB of Russia. They brought into the effective and motivated team healthy spirit of military brotherhood, unlimited endurance, quick wit, legal literacy, and the main thing — deep respect for the fundamental rights of citizens. Many years of successful cooperation with lots of companies, including Western ones, as well as with private customers only strengthen our confidence in the rightness of the course on a solid knowledge of and compliance with laws, good moral and physical training. The main task for our employees is prevention of any conflict situations and in case of aggravation of the situation – taking out of protected persons and enterprises from criminal threats, and returning of the situation to a legal framework as soon as possible. LLC private security company «Alpha-B» is a founder and a member of several associations of veterans and security organizations, widely uses the experience of the staff, their personal contacts. This ensures our employees with the full support of local counterparts in any region of actions.